CoolSculpting® is a non-invasive fat reduction treatment that can help contour body areas with isolated pockets of fat. 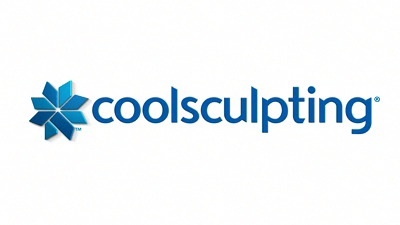 Performed by Dr. Jodie Reinertson at Advanced Skin and Body Solutions in Bellevue, CoolSculpting technology utilizes cooling energy to freeze excess fat cells, causing them to break down and be naturally processed out of the body. Patients with stubborn fat deposits that have proven resistant to diet and exercise can often benefit from CoolSculpting, achieving the slimmer, more toned-looking physique they desire. Common areas treated with CoolSculpting include the abdomen, flanks, back, thighs, buttocks, upper arms, and beneath the chin. Please note that CoolSculpting is not a weight loss treatment, and you should be at or near your goal weight to be considered a good candidate for the sculpting procedure. When you come in for your CoolSculpting treatment, a gel pad and applicator will be placed on the area being targeted. Once the device is in place, the system will begin delivering controlled cooling, which may feel cold for the first five to ten minutes. After this initial period, the area should go numb as a process known as cryolipolysis causes the fat cells to crystalize. Throughout the CoolSculpting treatment, fat cells are precisely targeted while the surrounding tissues are not affected. Once the process is complete, the device will be removed from your body, and the treated area will be gently massaged for about two to three minutes as the tissue warms back up. The entire procedure takes about 35 to 60 minutes per target area. Patients can typically return to their normal routine immediately after their appointment, requiring little to no downtown to recover. You should begin to see the effects of your CoolSculpting treatment after about three weeks, though it can take four to six months for the destroyed fat cells to be processed out of the body via natural processes. As this occurs, you should gradually see a more contoured shape. Since the fat cells are damaged and metabolized, they cannot regenerate. Keep in mind, however, that while these cells cannot return, the remaining cells can change in size. As a result, you should follow a healthy lifestyle to maintain your CoolSculpting results long-term. You may wish to return for follow-up treatments to achieve optimal contouring results. Are There Any Side Effects to CoolSculpting? Side effects from CoolSculpting are typically mild and temporary, resolving within days or weeks. At the start of the procedure, it is normal to experience sensations of pinching, cold, stinging, and cramping—all of which should fade as the area goes numb. After treatment, you may have some swelling, bruising, aching, and tenderness at the target area. Dr. Reinertson will discuss the possible side effects you may encounter, including more rare side effects, to help you make an informed decision about your care. Depending on the number of treatments needed, CoolSculpting tends to cost between $2,000 and $4,000. During your consultation, Dr. Reinertson will evaluate your contouring needs and design a personalized treatment plan that can help you achieve your aesthetic goals. Based on this plan, our team can provide you with a cost estimate to help you budget for your procedure.